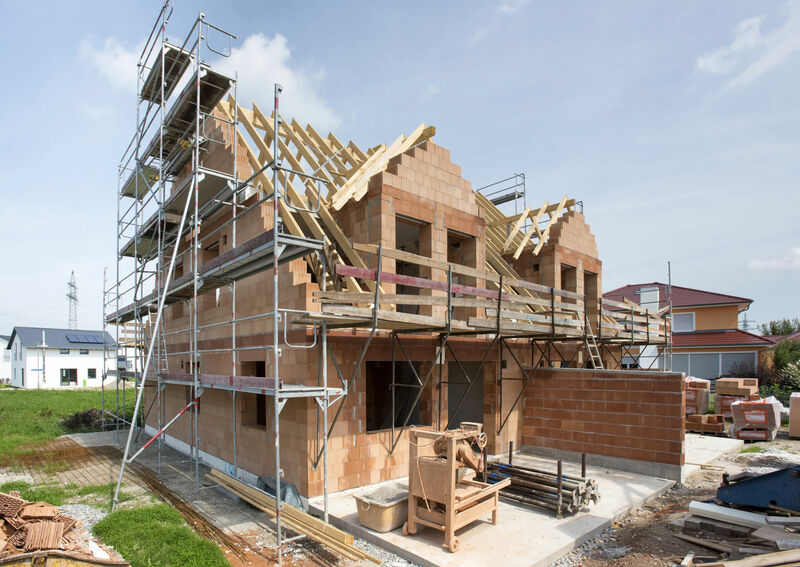 in new construction are more economical than retrofit applications. 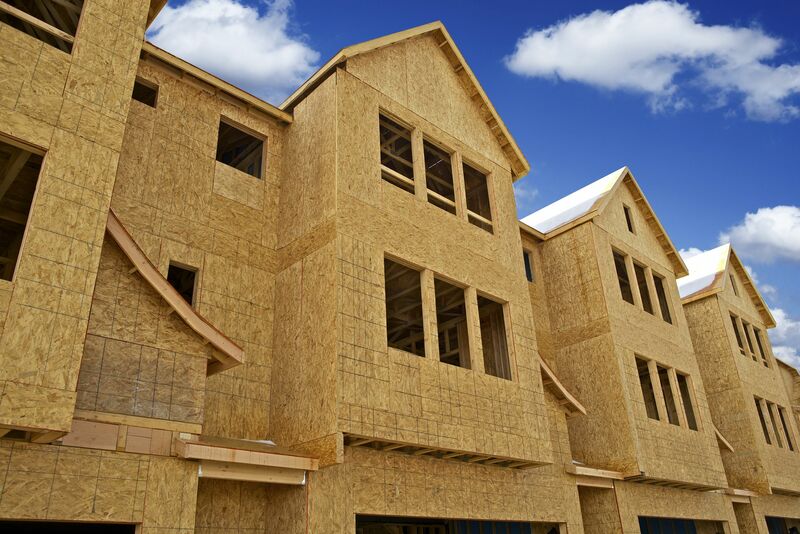 in multi-family mitigation, measurement and radon resistant new construction. for both passive and active systems along with conversion scenarios. Your home type will affect the kind of radon reduction system that will work best. Homes are generally categorized according to their foundation design. For example: basement, slab, concrete poured at ground level; or crawlspace, a shallow unfinished space under the first floor. 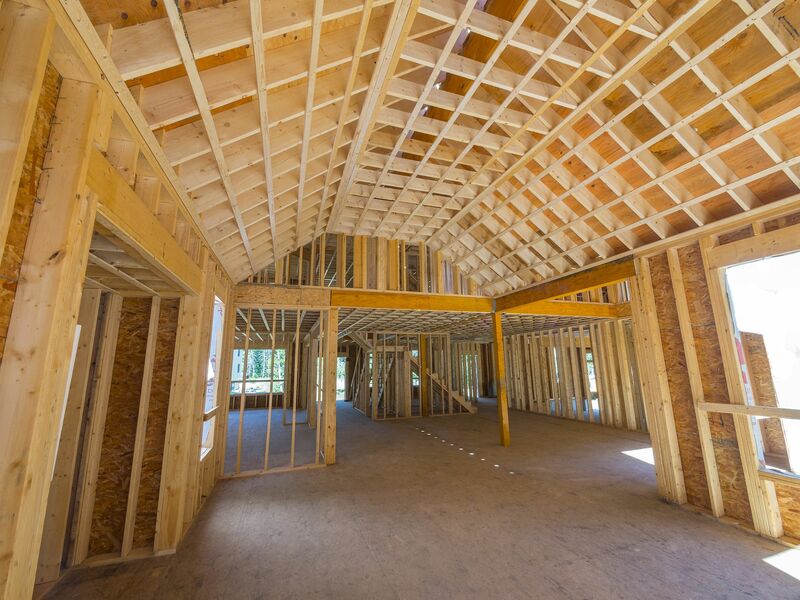 Some homes have more than one foundation design feature. For instance, it is common to have a basement under part of the home and to have a slab-on-grade or crawlspace under the rest of the home. In these situations a combination of radon reduction techniques may be needed to reduce radon levels to below 4.0 pCi/L. 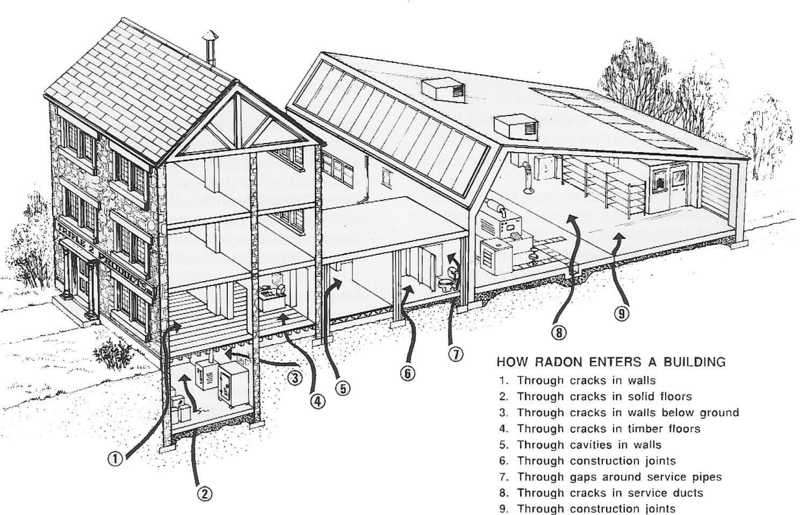 Radon reduction systems can be grouped by home foundation design. Find your type of foundation design above and read about which radon reduction systems may be best for your home. 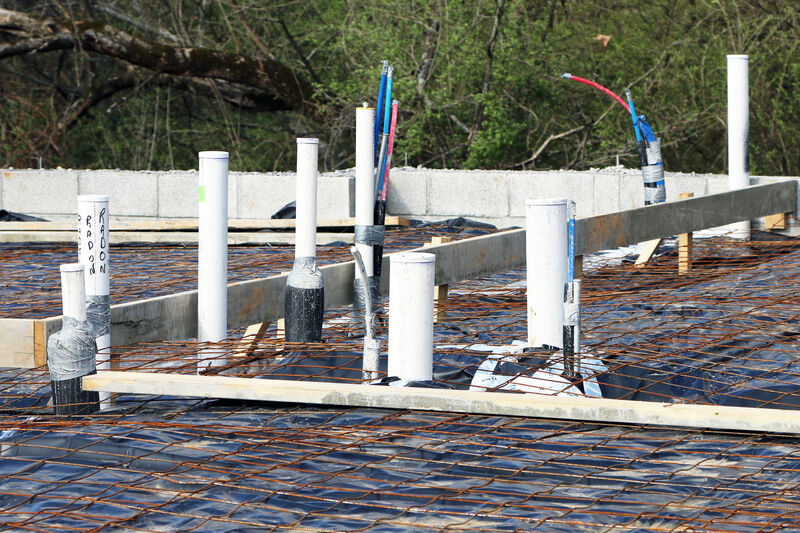 In homes that have a basement or a slab foundation, radon is usually reduced by one of four types of soil suction: sub-slab or block-wall suction depressurization system. Active Sub-slab suction — also called sub-slab depressurization— is the most common and usually the most reliable radon reduction method. One or more suction pipes are inserted through the floor slab into the crushed rock or soil underneath. They also may be inserted below the concrete slab from outside the home. The number and location of suction pipes that are needed depends on how easily air can move in the crushed rock or soil under the slab and on the strength of the radon source. Often, only a single suction point is needed. We usually get our information from a visual inspection, from diagnostic testing, and/or from our experience. A radon vent fan connected to the suction pipes draws the radon gas from below the home and releases it into the outdoor air while simultaneously creating a negative pressure or vacuum beneath the slab. Common fan locations include unconditioned home and garage spaces, including attics, and the exterior of the home. Some homes have drain tiles or perforated pipe to direct water away from the foundation of the home. Suction on these tiles or pipes is often effective in reducing radon levels. One variation of sub-slab and drain tile suction is sump-hole suction. Often, when a home with a basement has a sump pump to remove unwanted water, the sump can be capped so that it can continue to drain water and serve as the location for a radon suction pipe. Block-wall suction can be used in basement homes with hollow block foundation walls. This method removes radon and depressurizes the block wall, similar to sub-slab suction. This method is often used in combination with sub-slab suction. An effective method to reduce radon levels in crawlspace homes involves covering the earth floor with a high-density plastic sheet. A vent pipe and fan are used to draw the radon from under the sheet and vent it to the outdoors. This form of soil suction is called sub-membrane suction, and when properly applied is the most effective way to reduce radon levels in crawlspace homes. Another less-favorable option is active crawlspace depressurization which involves drawing air directly from the crawlspace using a fan. This technique generally does not work as well as sub-membrane suction and requires special attention to combustion appliance back drafting and sealing the crawlspace from other portions of the home, and may also result in increased energy costs due to loss of conditioned air from the home. In some cases, radon levels can be lowered by ventilating the crawlspace passively, or actively, with the use of a fan. Crawlspace ventilation may lower indoor radon levels both by reducing the home’s suction on the soil and by diluting the radon beneath the home. Passive ventilation in a crawlspace is achieved by opening vents, or installing additional vents. Active ventilation uses a fan to blow air through the crawlspace instead of relying on natural air circulation. In colder climates, for either passive or active crawlspace ventilation, water pipes, sewer lines and appliances in the crawlspace may need to be insulated against the cold.